Condor Technologies is looking for a dentist with a background in digital dentistry to provide clinical support to our distributors and their clients worldwide. While you will be traveling internationally, your office will be in Ghent, Belgium. As a member of our clinical support team, you will be training our strategic partners and their staff on how to use Condor in a clinical environment. Sometimes you will be demonstrating live cases, while at other times you will be turning a beginner into a Condor expert! You are a dentist with a degree from an accredited dental school. You make incredible preparations and passionate about clinical dentistry. You have a license to practice in the European Union. 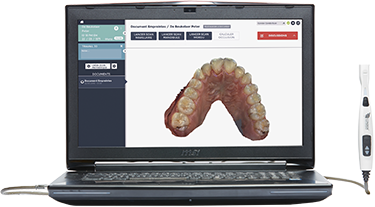 You are enthusiastic about digital dentistry. A challenging opportunity with more variation than at the average dental clinic.